Spend a day in one of South Tyrol’s renowned museums and exhibitions, and discover a world of its own. The South Tyrolean Museum of Archaeology, consists of three floors containing all information regarding the famous glacier mummy „Ötzi“. The permanent exhibition showcases much more than the 5300-year-old mummy. Well-preserved clothing and tools that the „Ice Man“ carried with him can be seen as well a fascinating insight into the lives of people that lived during the Neolithic period. Ever wonder what happens inside an anthill? Or how about looking into a 9000-litre tank to find out what the Dolomites looked as coral reefs? The Museum of Nature in South Tyrol, located in Via dei Bottai, takes its visitors on a natural and cultural journey through the region. It shows how the landscape once looked, 230 million years ago and how the mountains, fauna and flora we see in South Tyrol today, formed. Rotating exhibitions focusing on various scientific themes makes the museum the perfect place for all ages of visitors. The Gampen bunker is the largest of the six hundred bunkers scattered in South Tyrol. Built in the forties, it‘s purpose was to defend the Third Reich in the Alps, however, it was never used. Today, the bunker is a great place for a stopover for those travelling the mountain pass roads. The Gampen Gallery and mineral exhibition is a must-see. We decided to visit the museum and take a convertible up to the Passo Palade mountain pass. When we think of the word „cinema“ we immediately associate it with the latest blockbusters from Hollywood. However, South Tyrol also offers movie fans something special. While having been chosen as the location for many successful movies, South Tyrol also has another reason why it is so special in the film industry. Castle Tyrol is a symbolic icon of Tyrol. Towering over Merano, it was once home to the counts of Tyrol and is today the state museum for history and culture. The exhibition‘s course depicts the history of Tyrol from the early origins of the castle, through the Middle Ages. In the „Turm der Errinering“ memorial, the history of South Tyrol dating back to 1909 until the present is revealed. 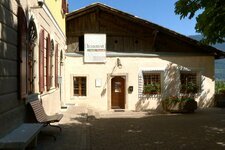 The Passiria Museum tells the exciting story about Andreas Hofer, the famous South Tyrolean freedom fighter. Visitors are emerged into the battles of 1809 and get to know Andreas Hofer as a person, and how he became a hero over time. On the first floor of the museum, the exhibition course illustrates how heroes are created, change over time and what makes a hero in today’s world. The little church of St. Proculus in Naturno is a popular tourist attraction, famous for its beautiful frescoes from the Early Middle Ages. A Roman settlement has also been found close to the small church as well as mass graves, that was the product of the Black Plague that ravaged Naturno during the 17th Century. 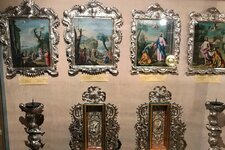 The Proculus Museum, found adjacent to the church offers a trip back in time. Come with us on a 1500 year journey back in time! Merano Arte, a house in the historic centre of Merano features three storeys and over five hundred square meters that are used for different exhibitions including artistic positions, architecture, literature, music, photography and the new media. Come and take a tour with us as we get to know Ursula Schnitzer, a long-time employee at Merano Arte. There are over 80 Women‘s Museums world-wide and one of them can be found at the Kornplatz in Merano. The South Tyrolean Women‘s museum uses clothes, fashion trends, accessories and everyday items to depict the history of women and how women have lived during the different epochs all the way to the present day. Clashing swords, tortured prisoners begging for mercy and above all the soft footsteps and melancholy cries of a sad princess whose ghost remains restless to this day. All of this and more can be heard in the imagination when visiting the ancient walls of the impressive Castle Tures. Today we visit the South Tyrolean Wine Museum in Caldaro and undertake a short time journey. Annemarie leads us through the museum, we experience plenty of details about winegrowing in former times. Also the mysterious “Saltner” is on his way in Caldaro…We look forward to a joint tour through the museum with you! The pharmaceutical museum in Bressanone is located in the same building as the city pharmacy itself, a building which combines modern architecture, art and pharmacology. 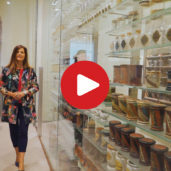 Equipment, containers, elixirs, packages and objects, documenting over 400 years of pharmaceutical history can be admired and enjoyed, a learning experience not to be missed! 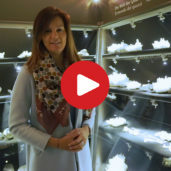 The wonderful world of geodes and the crystalline secrets they contain can be viewed at the Tiso Mineral Museum, located at the entrance to the Funes valley. The substantial collection of diverse minerals originate from Paul Fischnaller, a mineral collector, who has for decades mined the Funes mountains for these exotic rock crystals. This life‘s work is well worth a visit! South Tyrol has become a railway country in the last few years. Besides well used, modern railway facilities, there is another special attraction for model railway enthusiasts. The Railway World Rablà won’t disappoint. Come with us on this exciting discovery. 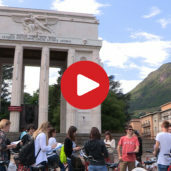 The Victory Monument in Bolzano has separated generations of South Tyroleans and split the society. Now there was a breakthrough in dealing with the Monument and the historicizing succeded. Is South Tyrol on the way to normality? Surrounded by summits unparalleled in their beauty, we travel back in time. Whoever makes their journey through the spectacular Dolomites can easily forget the hard battles that were fought here almost a hundred years ago during the first World War. Many soldiers lost there lives here. Trenches, tunnels and other remnants can be viewed at the open air museum in Croda Rossa that reminds us of a painful past. Water – the source of life, important for the whole planet and unfortunately often wasted. Therefore it becomes increasingly valuable. Between the numerous springs in the Valle dei Molini valley a museum originated, which is dedicated to this important element. 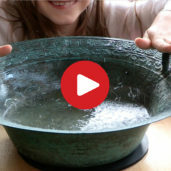 An interactive museum, where the element water is shown from all its sides, also from its magic one. “The “Magic of Water” Museum in Lappago! The Dolomites, nowadays UNESCO World Heritage. But how they developed? Which creatures existed there millions of years ago? 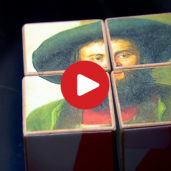 Who explored them and which legends have accrued through the centuries about them? All that you can experience while strolling between fossils and dinosaurs and discover real treasures in the end. 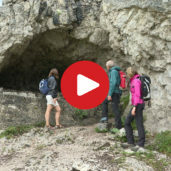 A unique adventure which only can be done in the DoloMythos Museum in San Candido, the biggest museum dedicated to the so-called “Pale Mountains”, the Dolomites! Onkel Taa’s real name is Karl Platino, and he is a passionate collector. 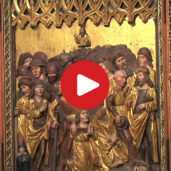 Among many other items, he owns the most comprehensive Habsburg private collection, comprising 750 originals, exhibited in the so-called k.u.k. Museum Bad Egart (royal-imperial museum). Onkel Taa and his family live in the village of Tel near Parcines. In his private realm, from time to time he also feels like an emperor. Hardly surprising, as his home was constructed on a healing spring in the Roman Age. Nearby there is also a mineral water spring. Come along with us on this time travel back to the royal-imperial period. His worldwide experiences are decisive for Reinhold Messner’s museum concept: his five Messner Mountain Museums are spread all over South Tyrol and also in the Veneto. The Messner Mountain Museum at Castel Firmiano near Bolzano, however, is the core, the centre of the project and focuses on the relationship between humans and mountains. Hill tribes in the RIPA mountain museum, arts in the City Museum, a tour across the history of this area in the Archeology Museum Mansio Sebatum or a discovery tour in the Museum of Ethnography in Teodone, culture in Brunico is multi-faceted. 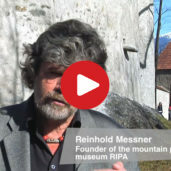 The fifth and last museum of the project by Reinhold Messner is the MMM Ripa in Brunico, focusing mountain peoples from Asia, Africa, South America and Europe. The folklore museum in Teodone is one of the most beautiful open air museums all over Europe. Here you can discover many kinds of farmsteads from the different valleys of South Tyrol and you will find an original representation of the life in a farmstead. A love for the mountains has found a new, photographic home in Plan de Corones, located above Brunico. The Lumen museum has a gripping tale to tell regarding the history of mountain photography, dating back from its origins to the present day. 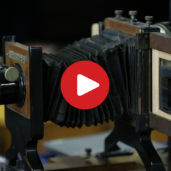 Visitors can experience the rich history behind photography and see how much things have changed in the digital age. Nestled in the surrounding landscape, the architecture of the building is a work of art in itself. The structure accentuates the beautiful mountain panoramas by perfectly blending nature and architecture into a single work of art. 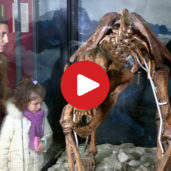 A wide variety of fascinating and interesting museums, collections and exhibitions sites can be found all over South Tyrol, dedicated to topics such as minerals and artworks, Oetzi, the Iceman, and the cave bear Ursus ladinicus. 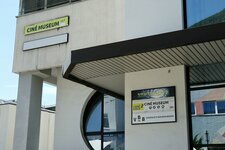 Among them are the famous Messner Mountain Museen as well as the South Tyrol Museum of Archeology. Explore and enjoy! Local Museum "Hoamet Tramin Museum"
Museum "The Magic of Water"
The Touriseum at Castel Trauttmansdorff near Merano tells the story of tourism in Tyrol.